Researchers think the virus is changing itself for Indigenous immune systems. A hand made beaded AIDS symbol. AMSTERDAM — Mutated strains of HIV circulating in Saskatchewan are leading to faster developing AIDS-related illnesses in the Indigenous population, new research has shown. The research from the BC Centre for Excellence in HIV/AIDS and Simon Fraser University was presented at the 2018 AIDS Conference in Amsterdam on Thursday. It showed that the strains of HIV in Saskatchewan have high levels of immune-resistant mutations compared to ones in other areas of Canada and the United States. Medical technician preparing a human sample for HIV testing. "Physicians were saying there's something going on here that isn't right, people are getting sick very, very fast," said Zabrina Brumme, the lead author of the study and associate professor of health sciences at Simon Fraser University. "It's almost as if the virus is nastier." Saskatchewan's HIV incidence rates are among the highest in North America, with 2016 rates in some areas more than ten times the national average. Nearly 80 per cent of people with HIV in the province are Indigenous. The researchers hypothesized that the quickly developing illnesses were linked with resistant strains that had adapted to the specific immune profile of Indigenous people. "In Saskatchewan, like other places in the world, HIV is adapting to the host populations in which it is circulating," Brumme said. "In Saskatchewan, the majority of HIV-affected persons are of Indigenous ancestry so HIV as a result has adapted to these populations." A hand made wire and beaded AIDS symbol. The multi-year analysis compared more than 2,300 HIV sequences from Saskatchewan with sets from elsewhere in Canada and the United States. 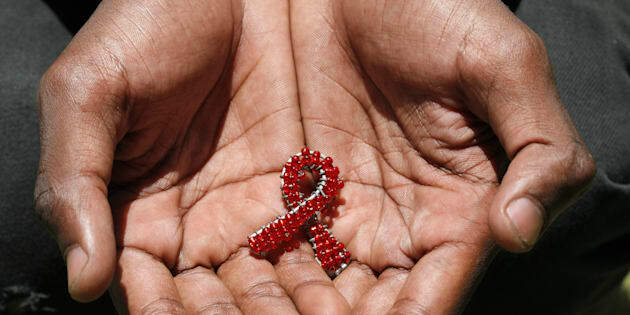 They looked at 70 different mutations, but one key mutation was found in more than 80 per cent of HIV strains in the province, compared with only about 25 per cent of HIV strains found elsewhere in North America. More than 98 per cent of the HIV sequences collected in Saskatchewan had at least one major immune-resistant mutation. Researchers said that means the strains with similar mutations are being frequently and widely transmitted. Jeffrey Joy, research scientist with the BC Centre for Excellence in HIV/AIDS, said while the findings are concerning, the good news is that if people get tested, the treatment still works on immune-resistant strains. He said it's critical to expand access to HIV testing and treatment in Saskatchewan because antiretrovirals not only makes a person's symptoms diminish, it also can stop the spread of the mutated HIV strains. "Strains that carry the mutations will slowly die out because they won't be transmitted to other individuals," Joy said.